I'd like to buy the world a beer and.... Ok, not really, but for some reason that's the tune in my head right now. Thinking about Big River Grille & Brewing Works at Disney's Boardwalk attraction in Lake Buena Vista, Florida also brings this song to mind. I don't why, please don't ask. But, perhaps it goes something like this...Corny jingle...Coca-Cola...big company marketing...Disney...brewpub...obviously must be some sort of cheap manufactured gimmick, right? Well, not exactly. 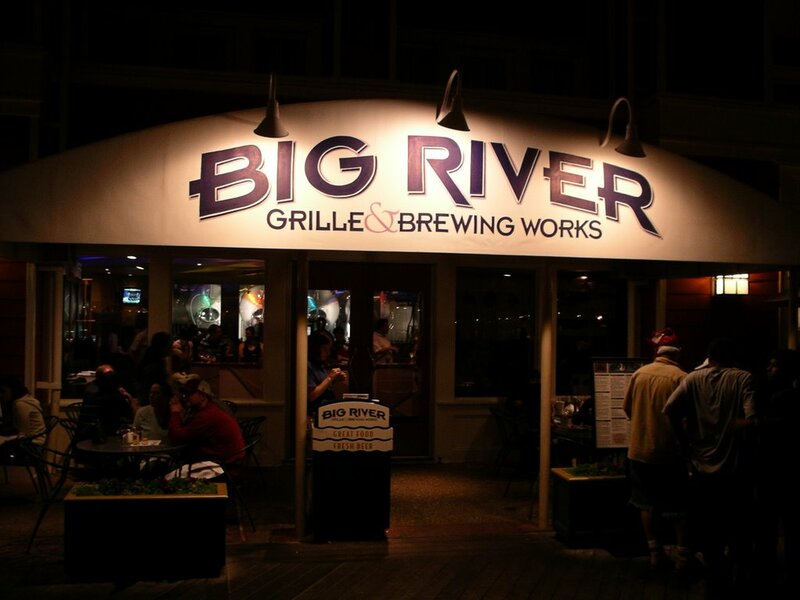 As it turns out, for being associated with Disney's ultra-touristy Boardwalk, Big River turns out some respectable brews. If you're not familiar with it, the Boardwalk attraction is closest in location on Disney's property to Epcot. With an ESPNZone on one end and a piano bar on the other end, the brewpub sits nicely in the middle...so, you're likely to pass it along your walk at some point. We attended a dinner for out-of-town guests of our friend's wedding at the far end of the Boardwalk. We then made our way over to the piano bar at the other end. Along the way, Patty and I stopped off at Big River for a quick taste of their offerings. As I said earlier, I was not expecting much in the way of variety or quality. While the variety certainly was limited (pilsner, light lager, pale ale, wheat, stout, brown ale, red ale), the quality was the surprise. Then, even more surprising were the GABF medals that were hanging on display. 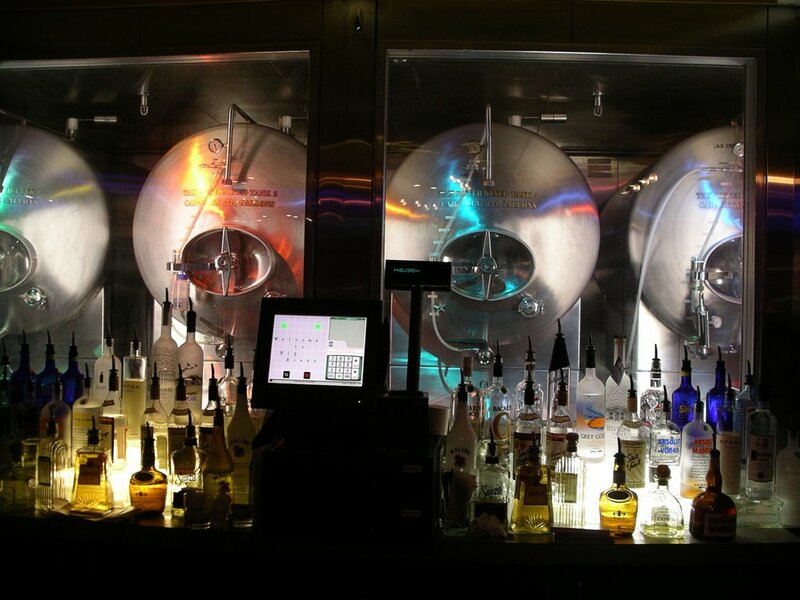 They have previously been awarded for the Rocket Red Ale and the Iron Horse Stout. In 2003, the Red topped Boont Amber from Anderson Valley in the amber/red ale category. On this night three years later, the Rocket Red still did not fail to impress. This is one very enjoyable beer full of solid malt flavors and moderate hoppiness. Coming in around 5% ABV, it could be considered quite a tasty session beer. Making things a bit more interesting still is their attempt at introducing the tourists to cask conditioned ale. In the corner was a carefully perched cask of the brown ale that had been tapped the prior day. Not sure how quickly it was drank, but even on the first day it was not all too interesting from my point-of-view. It had some simple flavors to it, but otherwise was rather lifeless and one-dimensional. Still, impressive nonetheless to be making an effort given the demographic. So, speaking of the demographic. This partly plays into my preconceived notions of this place. The bartender says this is a conversation that they have countless times every day. What we overheard goes something like this: Customer-"Give me an Amstel Light please" Bartender-"We only serve our own beers here" Customer-"How about a Michelob Ultra" Bartender-"Sir, we only make and sell our own beer here" Customer-"Well, what do you have that's like Amstel Light" Bartender-"Well, we have a....nevermind, I'll get you something and you won't know the difference." 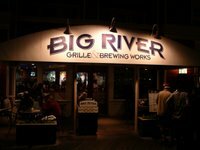 Oh, and a bit of digging around on their website actually reveals that Big River is a product of the Gordon Biersch Restaurant Group. With a couple of locations in Tennessee also, I'm interested to know if these recipes are developed in-house by Gordon Biersch then brewed individually in each location. Or, perhaps even brewed by GB and shipped. In any case, I would definitely recommend making a stop if you're in Disney World Florida and hankering for decent beer. 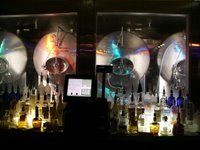 Because with the way the macros have firmly entrenched themselves, you are not likely to find decent beer elsewhere around Disney World in Florida. 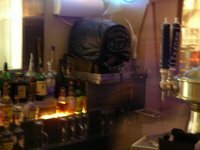 Though after enjoying a couple of Big River's better beers, the tight space and uncomfortable bar seats will probably have you moving on to the singalongs at the piano bar. I am a resident of TN and have been to both of the locations in Chattanooga TN and the location in Nashville TN. The beer is brewed at each location (except for the second newer location in Chattanooga) and usually have different beers besides the base 5. Those are the Light, Pilsner, Stout and Brown and Pale Ale. They will usually have an IPA or an Octoberfest. I have had the Wheat, but it was a seasonal thing and is now gone. I quite enjoy the Stout and the IPA, agree with you on the Brown and have yet to try the Red. The meat loaf is great as well.